Below you can view all the homes for sale in the The Village At Beaver Dam subdivision located in Knightdale North Carolina. 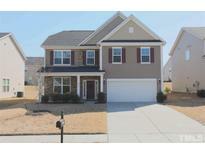 Listings in The Village At Beaver Dam are updated daily from data we receive from the Raleigh multiple listing service. To learn more about any of these homes or to receive custom notifications when a new property is listed for sale in The Village At Beaver Dam, give us a call at 919-759-5754. A few other perks: home warranty, washer, dryer, security system. Come see! MLS#2246847. 3894. Master suite includes large soaking tub, separate shower and dual vanities, massive walk in closet and trey ceilings. MLS#2245011. 297. Loft area great for media or office area. Enjoy the Community pool! 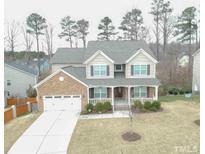 MLS#2241882. 2034. Laminate Hardwood, Dining & seperate. Eat in kitchen w/ Granite Counter Tops. MLS#2241174. 3236.